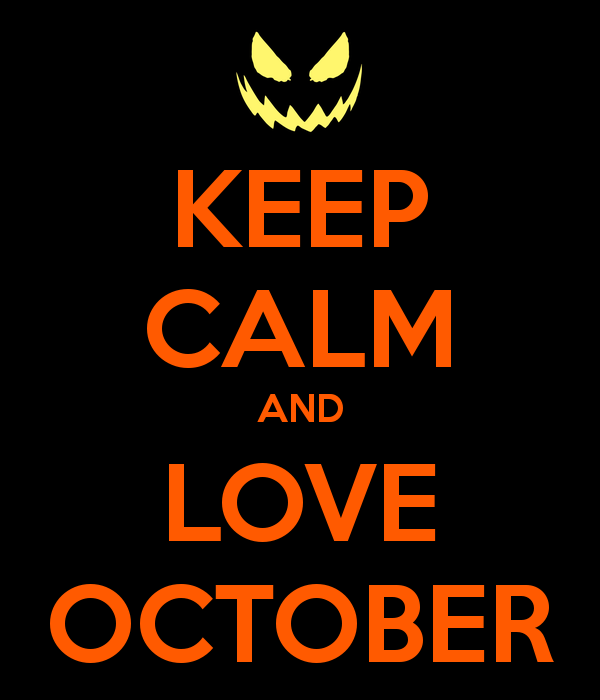 See Ya Later September, Hello October! Wow I can’t believe that September is already over! I can say that this month was a bit better than August, though I’m trying to fight when seasonal depression rolls around. However, I know what it is and I know how to work around it. Since it’s coming around, it’s time I name off something things that made me happy this month. -I was able to pass two math quizzes. I’ve always struggled with math, so to know that I’m passing makes me so happy. -I’m in my last semester of college. I can’t believe that I’m so close to graduating. It’s almost like a dream, I can’t believe it! -I updated New Home and working on the next chapter! I might be able to get on an updating schedule and that makes me so happy! -I’m not pushing people away as much as I used to. I’m reconnecting and finding that people do like me. They also miss me too. -I’m opening up and finding my old self again. It’s been pretty great. -I’m not feeling as scared about my writing anymore. I’m still a bit nervous, but not like before. -I found confidence in my looks again. It took me a long time for the person in the mirror to match up with the person in my head and I’m not going to let anyone stop me from feeling good. Family or otherwise. So I’m pretty happy with the way things have been going this September. I even managed to hit some of my goals that I put in my last post. Here are my goals for October. That may be a lot for October, but I have no doubt that I’ll be able to do it. How about you guys? Any goals for October? Oh and I forgot to mention that my favorite holiday is coming up: HALLOWEEN! !